Falcus Roofing Contractors - Fascia/Soffits/Guttering, Roofer, Windows/Doors/Conservatories based in Sunniside, Tyne and Wear. Invoice history based on 220 reviews. 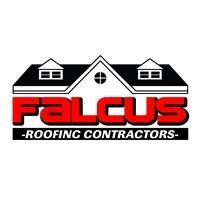 Falcus Roofing Contractors is a family run business here in the North East. We specialize in slating and tiling and we cover all aspects roofing from Upvc fascia and soffits to Grp flat roofs. All of our main roofers have a wealth of experience and we will go out of our way to help our customers. For quality workmanship and great customer service feel free to give us a call for a free no obligation quote or for general roofing advice .